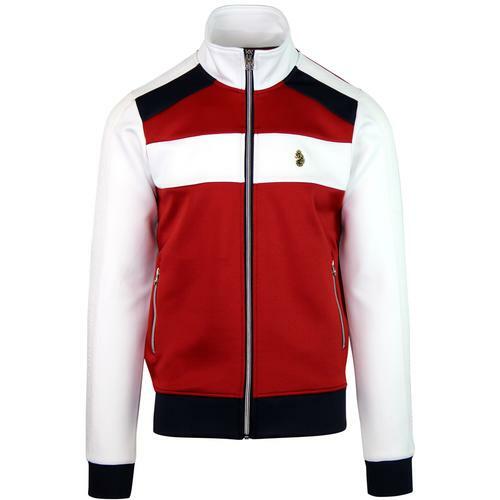 Scirocco 80s track top in red and navy by Sergio Tacchini. This 80s style track top is shellsuit-like in its appearance with a red main body made from lightweight polyester with a soft lining inside. The ribbed collar and cuffs give this a retro vibe and the white piping on the sleeves make this extra stylish. 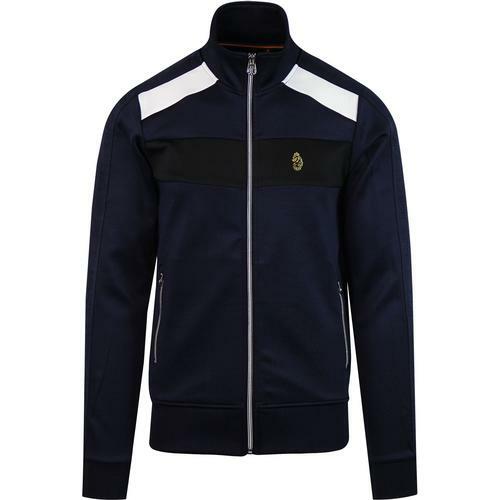 A full length zip pull and pockets make Scirocco practical, especially when playing sports, and the embroidered Sergio Tacchini logo gives authenticity and looks cool at the same time. 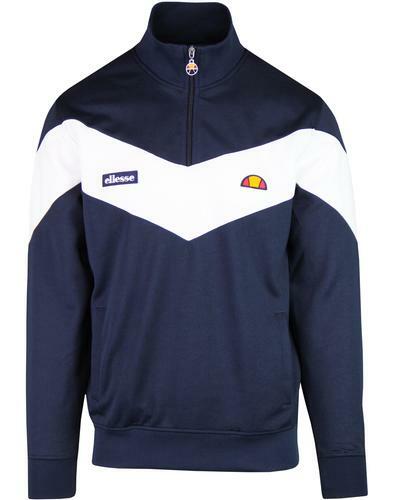 A great stylish track top for the season from Sergio Tacchini! 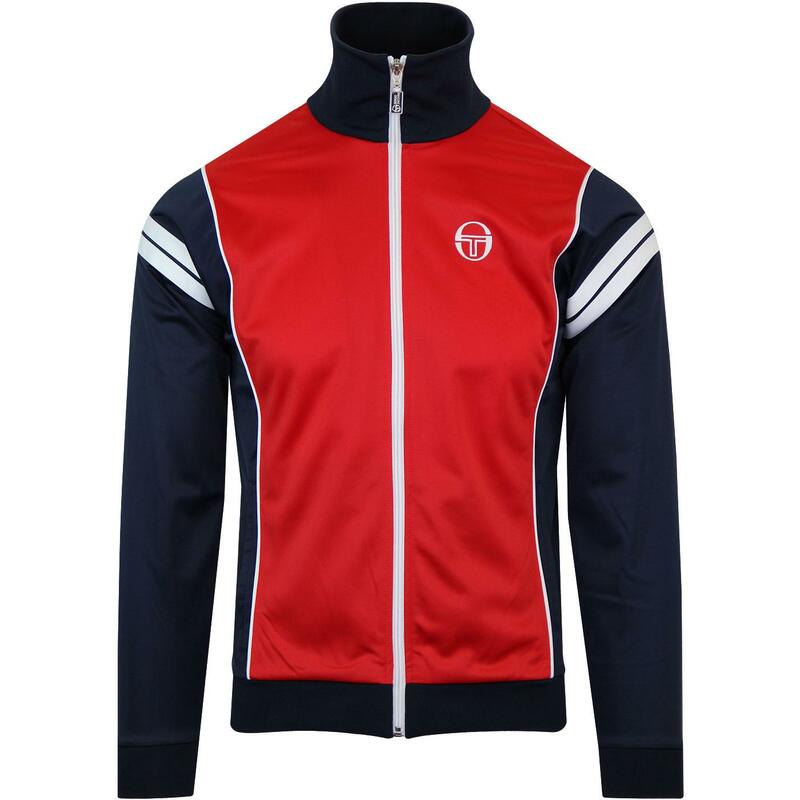 Scirocco 80s Track Top in red and navy from Sergio Tacchini. Red shellsuit body with navy collar, sleeves, sides and trims. White piping on the sleeves. Embroidered Sergio Tacchini emblem on chest.